Hi ladies! 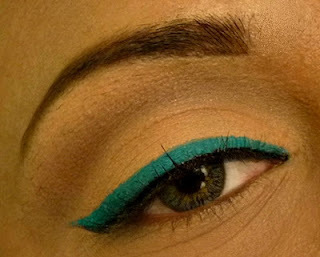 This a look I was wanting to do coz I was in love with the teal liner I bought from Inglot. Its a very wearable look. Hope you all like it. Here are picture tutorials to help you achieve the look. Applied foundation,concealer and brows also done. Apply an eyeshadow base, here I have used NYX eyeshadow base in Skin Tone. 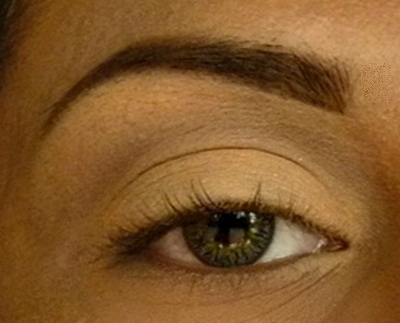 Line the eyes, apply very thin line of black liner. Here I used NYX studio liner in extreme black. I love this part, apply the gorgeous teal liner, here I have used Inglot Matte Gel liner(87) in a Winged liner style. 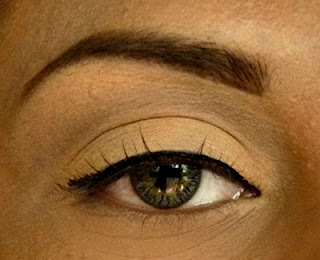 You can try this look with different colored liners too. Thanks for reading..
You have gorgeous eyes Jaya!